Speri Viticoltori was one of the first houses to produce Amarone and was part of the original six families in the 1960s when it was granted DOC status. As one of the oldest winemaking families in Verona with generations of grape growing going back well before the invention of Amarone, today only the Speri's and Quintarelli remain family owned and operated of the original six--and both happen to be represent by Lifford. Luca with his family's 1996, 1998, 2000, 2004, 2007 Amarones. 2009 Speri Recioto and ice cream drizzled with aged fig balsamic and mint leaf. The evening's lineup of Speri wines. Badass picture of Speri generations past. 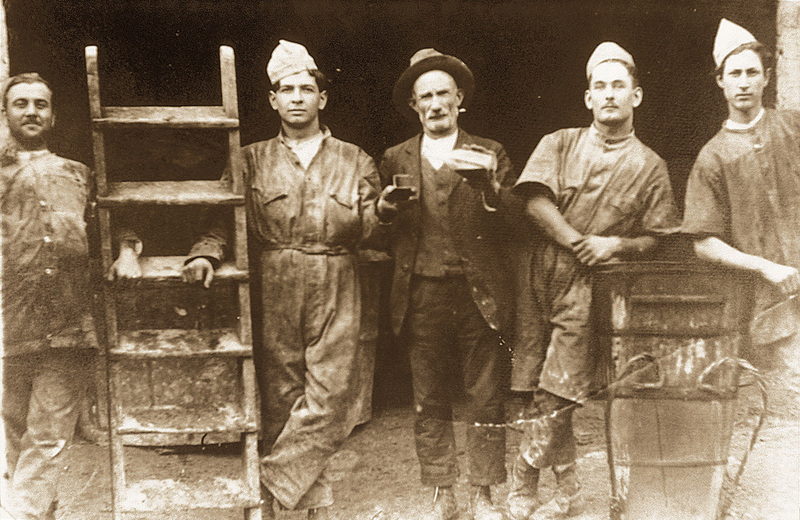 Luca's grandfather pictured 2nd from left. The Speri men sharing a glass of wine. 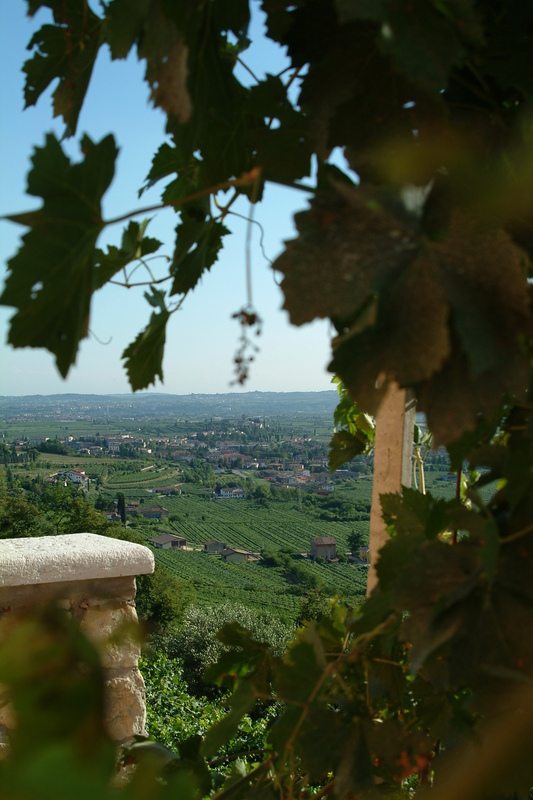 View from the top of Sant Urban vineyard where Speri's Amarone comes from. Grapes drying for the Amarone. I've long considered Speri's entry level Valpolicella Classico to be one of the best on the market, but it wasn't until Luca's visit that I understood why. He told us a great story about his Grandfather teaching them that you cannot judge a winery in Veneto on its Amarone alone (as many houses make impressive Amarone) but you need to taste their entry level Valpolicella and their desert wine Recioto, which is most difficult to produce. He said that if they take the care and effort to produce high quality Valpolicella and are talented enough winemakers to make a great Recioto, everything else in the house will follow suit. This logic comes from the fact that many wineries either buy bulk grapes to produce a cheap Valpolicella, or use all their best grapes from an estate vineyard for the Amarone, then use the leftover 2nds and 3rds for the regular Valpolicella. This often creates that tart, insipid, sometimes astringent style of so many cheap versions we've all had before. 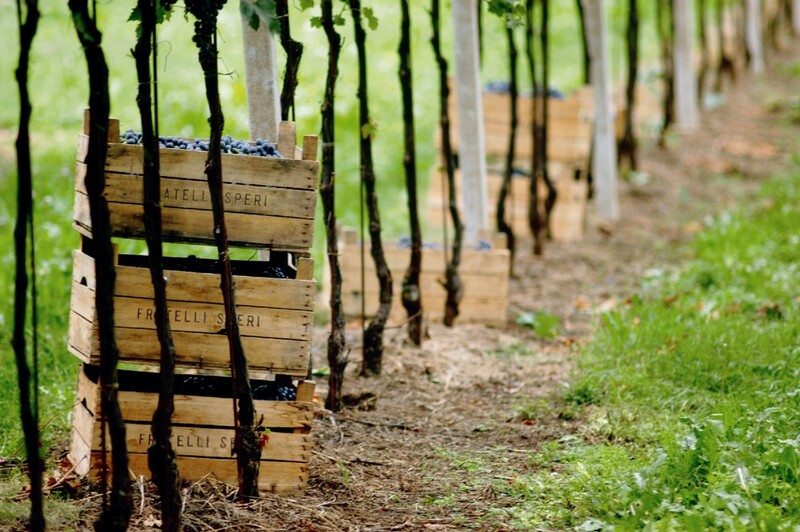 By contrast, Speri buys no grapes or juice, using only estate owned and hand harvested fruit. 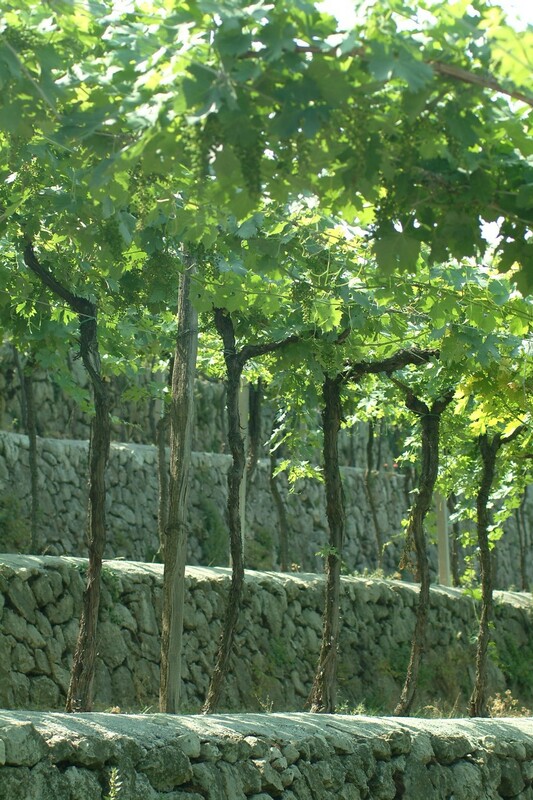 Their vineyards are all hillside vineyards for better sun and wind exposure and their Amarone comes exclusively from their hilltop single vineyard 'Sant Urbano'. This means that outside of the single vineyard reserved for Amarone everything else is 100% dedicated to a great Valpolicella Classico, part of which will also become their Ripasso once the Amarone skins are refermented on it. So further to their logic, the better the Valpolicella base wine, the better the Ripasso will be as well. This philosophy definitely pays off. The Valpolicella Classico is characteristically light, fresh and fruity as is typical of the Corvina, Rondinella, Molinara blend; but it also has a richness and depth that is extraordinary for an entry level Val. The wine sees no oak, only 5 months of stainless steel and cement vats to retain a purity of fruit and freshness. Red cherry fruit jumps out of the glass, but also keeps going with a rich mid-palate a great lingering finish. Amazing pizza or pasta wine. Similarly, the Ripasso is rich, complex, and balanced with great acidity and a very dry long, elegant finish. It's definitely the driest Ripasso I've ever had, and Luca tells us it is one of the driest produced in Veneto. This is another wine that they do not cut corners with, the law permits producers to produce 2 bottles of Ripasso for every bottle of Amarone produced, but they believe that dilutes it too much and can start to extract the harsher tannins on the second round of fermentation. So they produce only one bottle of Ripasso for every bottle of Amarone...a mandate of quality over quantity. Unfortunately this is a disappearing philosophy in Veneto as Ripasso becomes more and more popular many producers are trying to crank out as much as is legally allowable and often need to leave a lot of residual sugar to create a false sense of richness. Then came the Amarones. As is inevitably the case when you have only one bottle left of each vintage of old wine, something will be corked. And unfortunately the 1998 was, but the rest of the lineup was so outstanding we didn't fret too hard. Starting with the 1996, which according to Luca wasn't the best vintage, but you wouldn't have known it. Not only was it still holding up perfectly, but seemed to have lots of life left. Perfectly smooth and still fresh. The 2000, 2004 and 2007 followed suit, seeming effortlessly elegant. As we got to the younger vintages, the wines got expectedly firmer, but all were still exceptionally drinkable. The current release 2007 actually showed as one of the smoothest, which was a reflection of that vintage. The Speri Amarone's are a benchmark of traditional style, you can find it on many of Ottawa's best wine lists, give it a whirl...you'll be glad you did! And finally, to bring it back full circle with Luca's grandfather's philosophy, we came to the Recioto with desert. I haven't had as much experience with Recioto, as with the other wines, I've tasted ones of varying quality from Veneto over the years, but several of the people at dinner were big Recioto fans and Speri's certainly satisfied everyone. Luca had packed these in his luggage and we paired it with Pascal's ice cream, drizzled with an aged fig balsamic from Ottawa's The Unrefined Olive. My god...ultimate desert pairing. Its safe to say that Luca's grandfather's philosophy checks out: the Valpolicella Classico and Recioto were outstanding...and the Ripasso and Amarone followed accordingly!